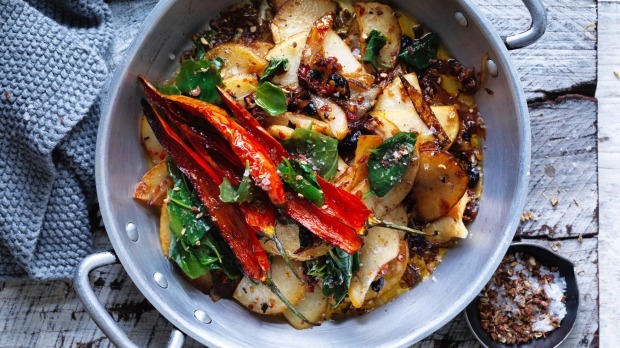 If you're trying to eat healthier this New Year, well, we have good news for you. The food world has your back. It looks like this coming year is going to be both healthy and delicious in homes and restaurants around the country. From native ingredients to a new superfood hitting the scene, here's what will be hot on the plate, and in the wine glass, in 2018. While meat has long been the star of the plate, we're going to see plants shine over the coming year. "I'm really excited to see people becoming more interested in plant-based cooking," says Shaun Quade from Lume in Melbourne. "It's not necessarily vegan food – although I'm seeing more and more diners request it – but menus where animal proteins take a back seat. "I like the idea of using meat as an accent, a highlight, to the overall dish – but not the focus." This is our chance to appreciate the beautiful fresh food we're lucky enough to have in abundance, and look after our health while we're enjoying it. Mode Kitchen & Bar's head chef Francesco Mannelli believes we're gaining an appreciation for our native produce. "Pioneered by the likes of Alex Atala from D.O.M. in Brazil and Orana here in Australia, diners can expect even more native ingredients in dishes," he says. 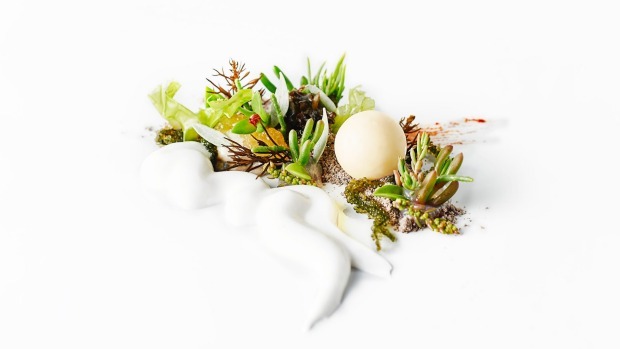 "(We use) beach banana succulents in our Fremantle octopus dish and saltbush used in our slow-cooked lamb shoulder dish. They are handpicked and sourced from the Ngarrindjeri people of the Coorong region in South Australia. "Celebrating these unique herbs is fantastic, but supporting indigenous communities along the way is even better." Long, luxurious meals have their place, but we're keen for great quality food in a hurry these days. "I think that the QSR (quick service restaurant) trend will continue to dominate our dining scene next year," Quade says. "More and more chefs are leaving the fine dining industry and looking to open more casual, more profitable venues. It just makes economic sense. "I'm not one of them. I think there will always be a place for fine dining, but not in the same traditional format we're used to." 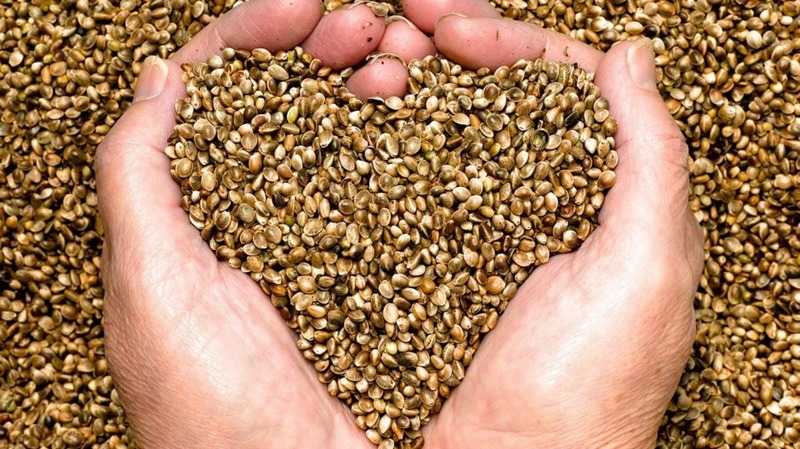 Nutritionist Zoe Bingley Pullin says the latest superfood is hemp. First, let's clear this up: while hemp comes from the cannabis plant, it is not a drug. It's commonly used as a soft fibre, but has health benefits that we're yet to fully harness. Bingley Pullin says, "Hemp is a great source of essential fatty acids and plant-based protein, most commonly as hemp seeds (known as hemp hearts), hemp oil and hemp powder." She says the seeds are great in bliss balls, the oil is best used unheated and drizzled on salads or vegetables and, in powder form, hemp is a great addition to a smoothie. You can buy hemp from health food shops. What's hot in reds? "Pinot noir is the fastest growing variety in the red wine category; Aussies are loving light reds." White on the way back "After having been the toast of the 1980s, chardonnay fell so out of fashion that the expression A.B.C (Anything But Chardonnay) was coined. But chardonnay is officially the grape comeback kid, with the wine being made in more elegant styles." 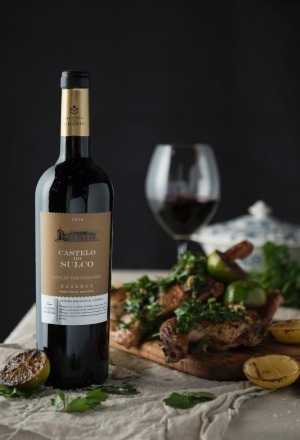 International wines of mystery "Although Aussies love to support local winemakers, we are also increasingly expanding our wine repertoire with international wines. Sardinian wines like Vermentino, Sicilian wines such as Nero D'Aviola and Portuguese varieties like Touriga Nacional are especially taking our fancy." It's easy drinking green "Organic wines have been increasing in popularity in the last few years and, along with biodynamic wines, will boom in 2018." Eugene Lee, head chef at Brisbane's Indriya, says the boundaries of different cuisines will blur more and more over the coming year. "We can now get every ingredient under the sun," Lee says, "Chefs are cooking in a more ingredients-focused way (rather than in a single cuisine). You look locally and, at the same time, think globally: it's a mish-mash of cultures. "For a home cook, you can get international ingredients at the supermarket that are really easy to cook with. You might put seaweed in a pumpkin soup. It's more than a fusion; it's using ingredients from any cuisine to create a delicious masterpiece." What's on the way out? With the dawning of these new food trends, we need to say goodbye to some of 2017's trends. Unnatural garnishes. Andy Harmer, executive chef at QT Melbourne's Pascale Bar & Grill, says he's glad to see the back of unnatural garnishes, like dots on plates. Intricate plating. Rabih Yanni, publican at the Grosvenor Hotel, says we'll see the demise of intricate plating. "I hope to see the back of food assembly and the return of protein and traditional cookery; stocks, sauces, braises and roasts." Exaggerated allergies. Dai Duong, co-owner and executive chef at Uncle, says what all chefs have been thinking: "(I'll be happy to say goodbye to the trend of) people who don't have 'real' allergies."